May We Attack You Again? I mentioned last week that I would pay someone $50 if they could walk me through getting Windows 10 off my machine and get me back to Windows 8. A heroic reader here managed to do it for me (although he asked if I would pay him in books, which I did). Windows 10 is now asking if I’d like to go through that all again. I installed Windows 10 and immediately regretted it. My computer was lagging, as if Windows 10 was hogging all of the resources. A few other things were odd so I figured I’d go in and play with a few settings. That’s when I discovered that I could not access the Settings or the Control Panel. And when I clicked on the “Return to Windows 8” nothing happened. It turns out that if you hit Shift + Start at the same time, you will find a few options, one of which will allow you to Return to Previous Build or some such and after an hour or so of tinkering with it, I was back to where I wanted to be. 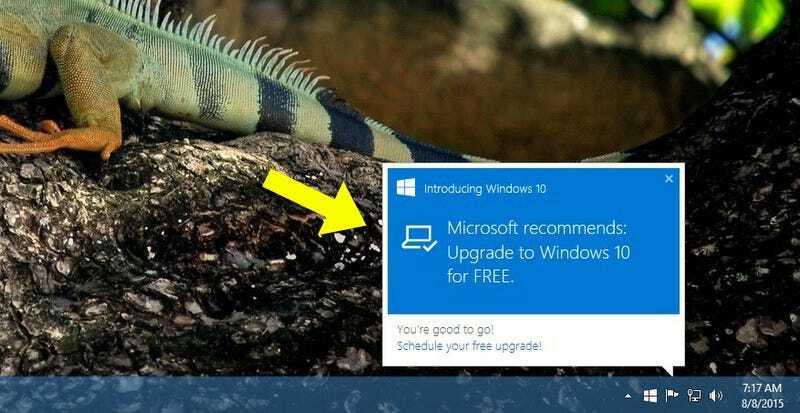 And this morning I saw the pop up inviting me to the wonders of the Windows 10 Hellscape. Um, No thanks. But I still managed to record my podcast and video cast last week, despite the brouhaha. Here is the audio. The topic is a favorite of mine in that it always starts arguments here. And I am right.